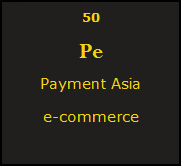 Payment Asia was established in 1999 and today is considered to be a leading e-payment company in the South East Asia Region. It catered for more than 3000 clients locally and abroad. Payment Asia aims at giving complete and secure payments to businesses, the company offers its services to a wide range of businesses throughout the world. The company aspire to be a one-stop shop business with its vast experience in the field of e commerce. Payment Asia continues to extend its operations in bringing the most innovative concepts, and securing payments in the most reliable way. The Asian Company offers different packages that suit the purpose of various clients, such as the Standard Package, Premium Services, Payment Asia Emarketing Services, Fraud Control/Risk Management, E-wallet and Virtual Account service. Payment Asia will broaden its operations in the next years, with such a vast experience and quality service, the company wants to reach new heights.